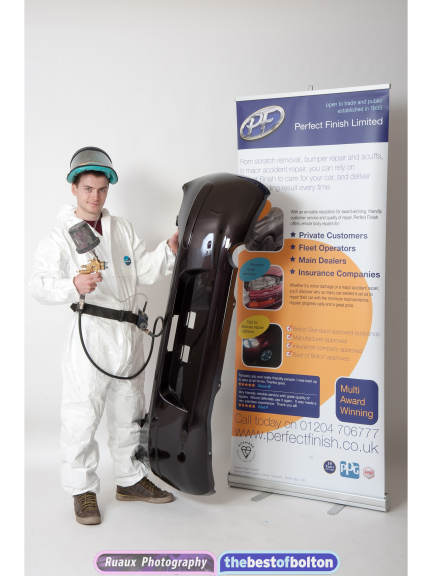 Congratulations to Perfect Finish who were awarded second place at the recent British Body Shop Awards. Out of the 500 body shops in the UK, Perfect Finish was ranked number 2 Body Shop of the Year, so it was still a fantastic achievement. They have now been runners up for 2 years in a row, so shows the consistently excellent standards Perfect Finish have. It was all decided by customers, which makes Perfect Finish’s award even more special and important. We blogged before about before the awards, so have a read of that to find out more about the ceremony itself. Perfect Finish do all types of services, including paintwork, wheel realignment, paintwork and more. Give them a ring on 01204 689934 to see how they can work on your vehicle.